﻿It's been a big week for local rugby here. and the Super 15's rugby union competition on Saturday. Being a Welsh girl there's some rugby (of the union kind) in my bones. When you're brought up in South Wales you can't help but become immersed in the sport. 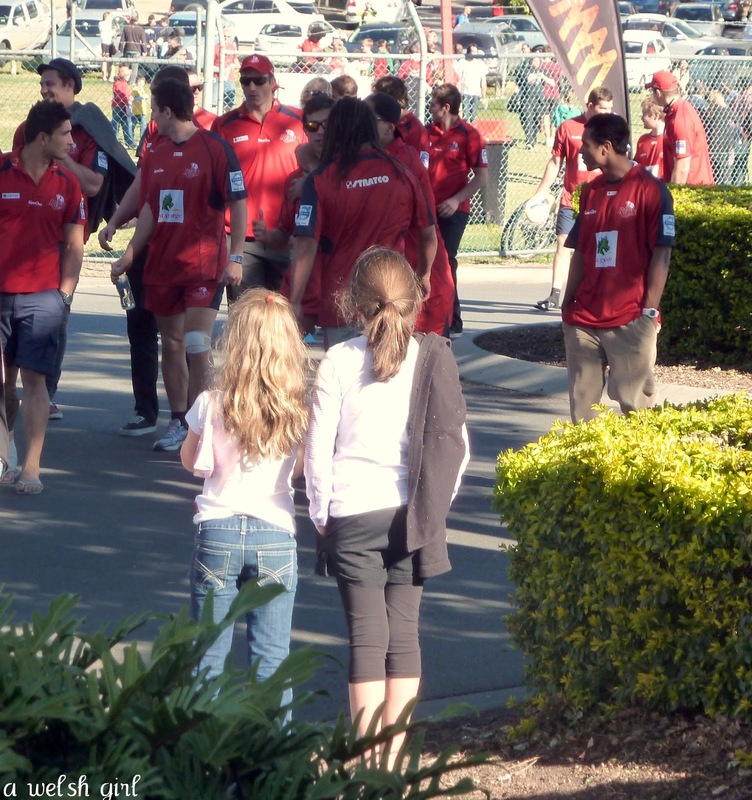 My girl Sibs has become quite a rugby fan herself and has been fortunate enough to go to a few Queensland Reds Super 15 games. We have taken advantage of the proximity of the stadium to home and soaked up the atmosphere of the games. She's become quite the little expert. 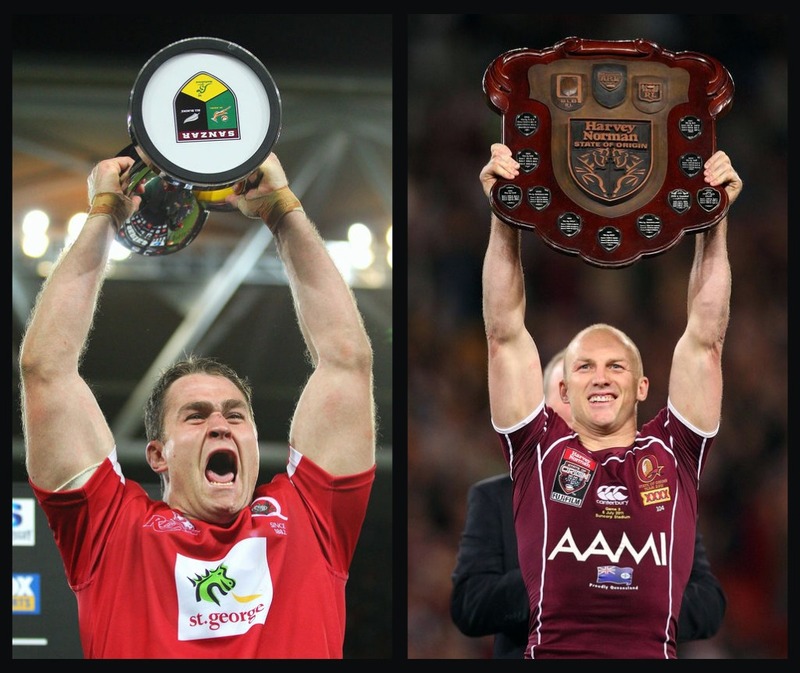 Just for interest - the Super 15 competition is made up of 15 teams from Australia, New Zealand and South Africa. The games are played over a period of eighteen weeks from mid February and then the top six teams compete in the final rounds. 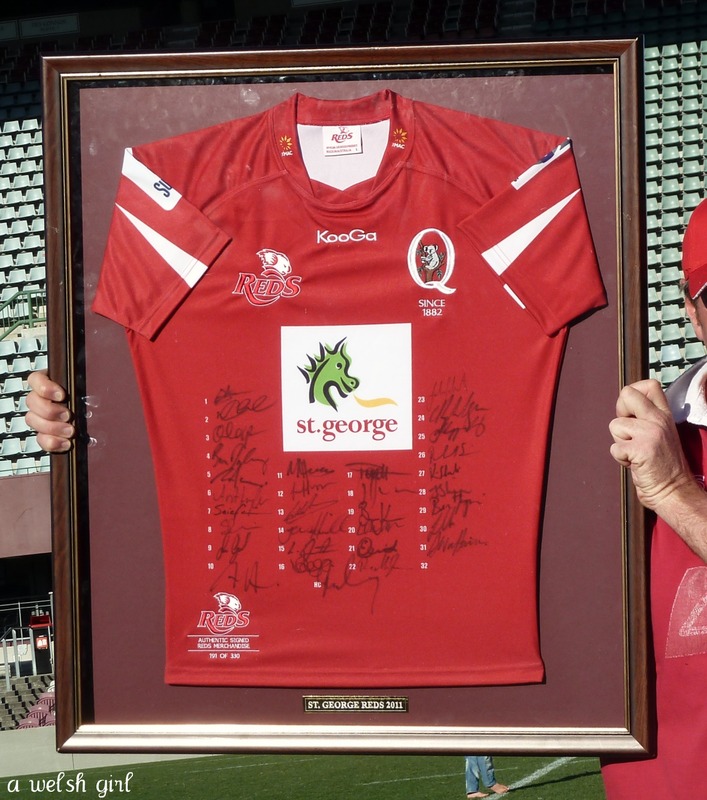 Last night, the Queensland Reds defied many critics and won the Super 15's competition. It was a thrilling and close encounter against The Crusaders from Christchurch in New Zealand with the Reds finally edging ahead to win by 18 to 13. 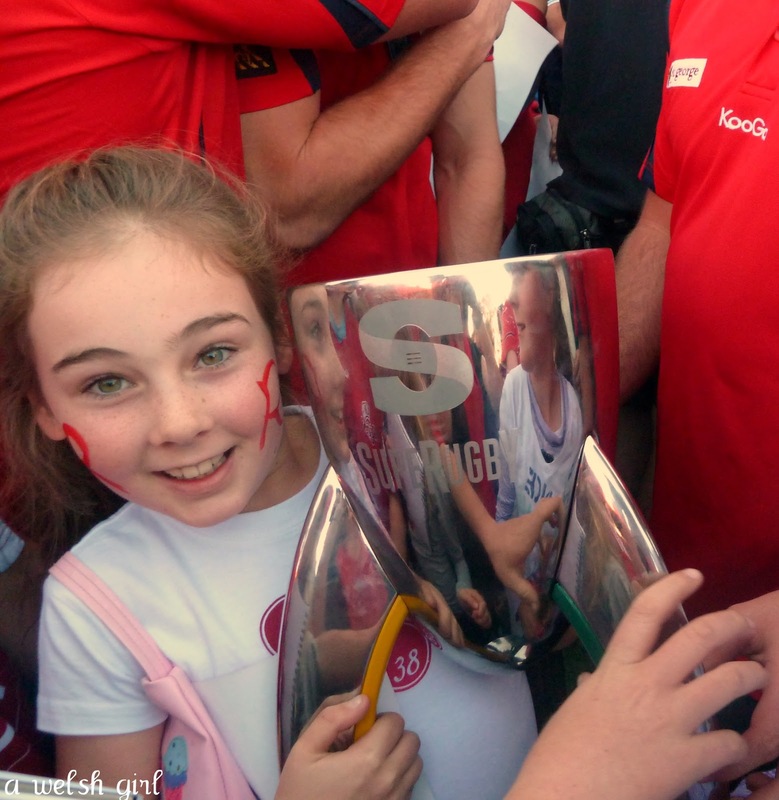 We went to meet up with the players this afternoon and Sibs even got to hold the trophy. She said it was "really, really, really heavy!" Sibs and her friend waited patiently to spot their favourite players who made a big effort to chat and sign autographs despite the rather obvious signs of a few sore heads! If you buy a raffle ticket you never know what you might win! This was won by our friend - who was rather pleased! After the horrors of the first few months of the year, Queensland needed something to smile about. We are also a Rugby family. While I haven't really tried to understand the AFL in our first season here, we are looking forward to the World Cup Rugby in a few months time. Well done on your local wins! Watch Super Rugby Stormers Vs Sunwolves Live Streaming 2016 .Watch Rugby Direct On tv. I think, your are surfing internet for get your favorite teams match To Enjoy Rugby Stormers Vs Sunwolves live Stream exciting match online. Enjoy, live broadcast, live sop-cast, live telecast, live coverage, online, live on live streaming On your MAC.